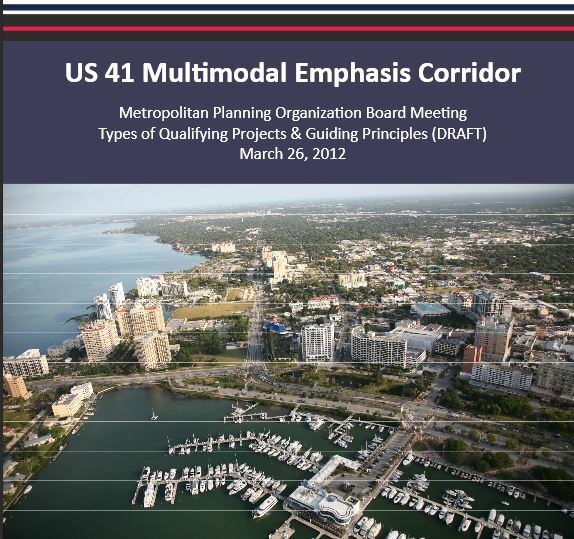 The US41 Multimodal Emphasis Corridor (MMEC) runs through both Manatee and Sarasota Counties. Sarasota City & County have common interest in priority funding the FDOT’s US41 MMEC segment from University Parkway to Bee Ridge. which is used for the existing Congestion Management System program (CMS). use plans in each corridor segment. balanced access for all modes.